In preparation for this week’s KVOA segment, I went to a “regular” grocery store, rather than Sunflower Market, to get some sugar-laden beverages, cereals and granola bars. On Thursday, I’ll be talking about alcohol and sugar, two things that should be limited to avoid cancer, diabetes and heart disease. It was an eye-opening experience. These three aisles, sodas, cereal/snack bars and cereals, are probably the worst three that I could have been perusing, but the 20 minutes that I spent at the store gave me a new perspective on how difficult it can be to eat healthy. It’s extremely bothersome to me that many foods, which appear to be healthy or are even marketed as such, can be full of sugar and devoid of nutritional benefit. I found myself in tall aisles stacked with processed food, some obviously unhealthy…. I don’t think that anyone eats a granola bar dipped in chocolate thinking it’s a health food. In fact, I compared labels and it is nutritionally equivalent to three chocolate dipped cookies. But others, such as the Special K cereal bar, were promoted for weight loss and good health and were really not a lot different from chocolate covered granola bars. I went to Sunflower to find some better bars. 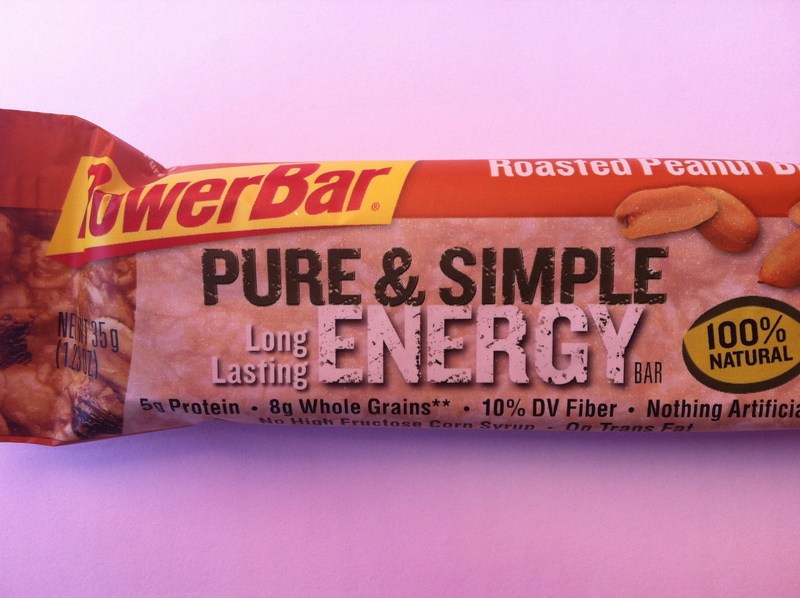 Bars that could be used in a pinch, as a convenient snack. 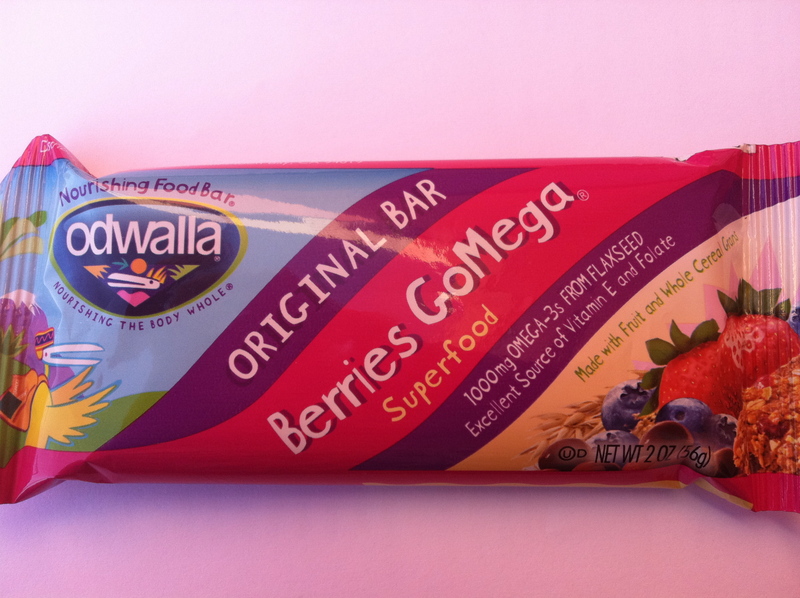 I wanted to find a bar made with unprocessed ingredients that could provide some cancer-protective fiber and disease-fighting antioxidants. I found two bars that were a bit better made, with whole foods and some organic ingredients, but still, sugar tops their ingredient lists, which means that these don’t top my list of foods to eat regularly. Below is the most disturbing bar that I found. 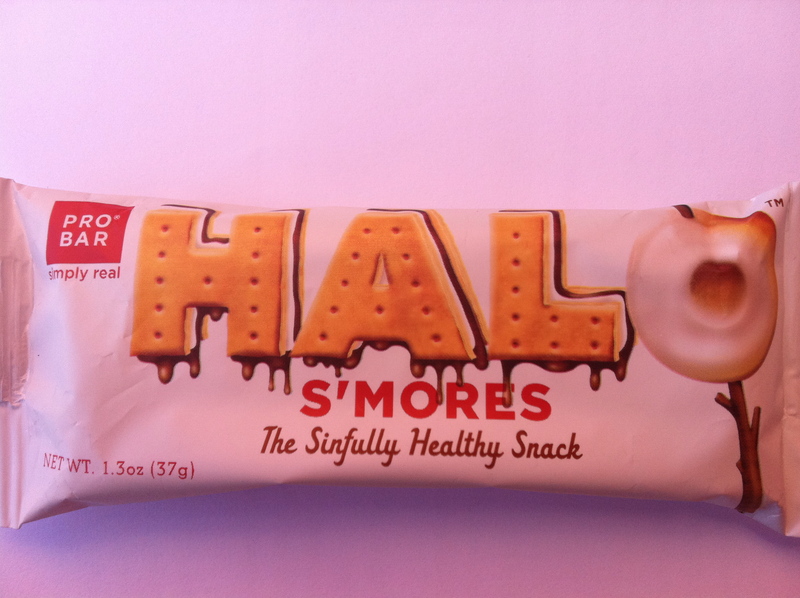 The Halo bar with the tag line, “The Sinfully Healthy Snack” is, organic yes, healthy no. It has 3 teaspoons of sugar in it. Which, despite the label claim of “low in sugar”, is half of the recommended amount of sugar to consume each day and not any lower than the chocolate dipped granola bar! Arrrr. It makes me irritated. There’s nothing healthy about this bar, it’s all marketing. Granola bars are tricky. There are not many options for unprocessed, high quality granola bars, which is why I recommend that you invest your time and money into making your own granola bar. This bar took only 5 minutes to put together. It has no added sugar and no added fats. AND it tastes pretty decent. Blend the bananas and peanut butter in a blender or food processor until smooth. Mix the bananas and peanut butter with the rest of the ingredients. Oil a 13 x 9 pan. Cool completely and cut into 16 bars. Cover and refrigerate for about a week. The recipe is versatile. Add any type of nut or seed that you like and mix up the dried fruits. Add coconut or fresh minced ginger. Instead of peanut butter, try almond or walnut butter. Rather than a nut butter, use 1/3 cup canola oil and skip the water to emphasize the flavors of other nuts used in the bars. Just watched your segment on Channel 4. You did fantastic. Loved it and of course very informative. What is your take on oats and celiac disease? If they are certified gluten free they are fine for people with celiac. These are delicious. I used sunflower seed butter and also added chocolate chips. So good! Thanks for sharing this recipe. Awesome Kristi! I also love sunflower seed butter. Great combo!